The ever-clever Alexandria Ocasio-Cortez has chimed in on Democrats' human-controlled weather propaganda issue with the following nugget of wisdom: "Our planet is going to hit disaster if we don't turn this ship around and so it's basically like, there's a scientific consensus that the lives of children are going to be very difficult … And it does lead, I think, young people to have a legitimate question, you know, 'Is it okay to still have children?'" In 2009, Hillary Clinton praised a politician for noting "it's rather odd to talk about climate change and what we must do to stop and prevent the ill effects without talking about population and family planning." AOC and Clinton are not alone. Many Democrats believe that birth control and abortion should be widely encouraged as a means to combat bad weather. Back in 2014, The Atlantic published an article entitled, “The Climate-Change Solution No One Will Talk About,” arguing not only that humans are causing weather changes, but the solution to the weather changes caused by the adults is to stop babies from being born. Inverse published a copy-cat article with similar arguments in 2018. Vox joined in and argued that its racist to say that all people should have to stop birthing babies, and that only the rich should stop having babies because they are the ones more responsible for these weather problems. Vox also went on to propose that the rich should be eliminated altogether so that the climate problem might self-solve. But the idea that we should sacrifice children for improved weather is nothing new. Before the advent of abortion, ancient Mesoamericans would savagely sacrifice their young children in the belief that the killings would appease the weather gods. Aztecs, Mayans, and Incas all sacrificed children throughout Mexico, Peru and Columbia. These civilizations believed that the barbaric executions would result in weather change. Modern day scientists and archeologists look back on these events as horrific and tragic. No one has come out to support the cruel belief as competent means to control the weather. No one has claimed that it was a sensible weather strategy to cut out beating hearts from the tiny chests of small children. Or rather, not directly. Democrats, who view abortion of babies at all stages as a female gender-based right as opposed to a brutal murder, have argued that abortion is a sensible means to combat climate change. When Democrats argue that abortion should be used as a means to improve modern weather, they are no different than the Aztecs, Mayans, and Incas who called for the sacrifice of young children to improve the climate. Both have the same unrealistic intent — change bad weather; and, both have no comprehension of the brutality of murder and maiming of human children. Just as the Mesoamericans outlandishly believed that droughts could be relieved when children cried as their hearts were torn out of their bodies, Democrats believe that global warming could be eased by the dismemberment of babies in the womb. Both the Mesoamericans and the Democrats also appear to share the belief that the baby sacrifice is a necessity, akin to self-defense. 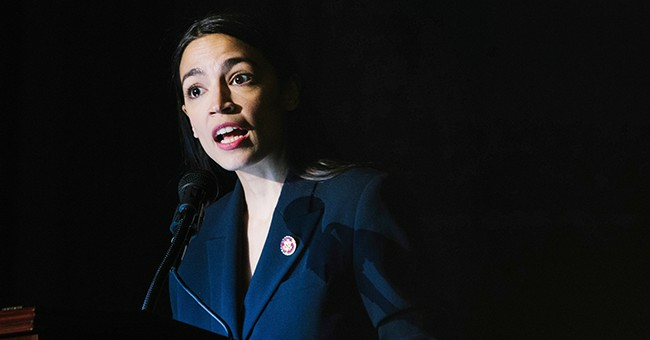 AOC has said the moderately-socialist legislation supported by the Democrats is "frankly going to kill us,” and argued that only extreme socialist control could save the world from global warming. Writers for leftist publications Politico, Vox, and Atlantic, in addition to many others on the alt-left, also believe that the world and adult lives are at stake if babies continue to be born and hence continue to change our planetary weather. Shockingly, eleven thousand years ago, and before the vast populations and farting cows of today, our ancestors survived significant climate change, CNN reported last year. How many babies did our ancestors have to kill in order to achieve the great result of climate change survival? Maybe they just instituted socialism, and that is how they prevailed over the all-powerful weather gods. For as long as Democrats continue to buy into barbaric customs of murder to achieve weather patterns of choice, we will not be able to hold meaningful discussions with them on the unreliability of human-made climate change science, the natural climate changes that have plagued planet Earth, a government’s role in weather pattern control, and the failed prior attempts to brainwash Americans through “Global Warming” predecessor propaganda campaigns “Global Cooling” in the ’70s and “The Ozone Hole” in the ’80s.